The JR Hanwa Line runs between Tennoji Station in Osaka and Wakayama Station in the city of Wakayama. 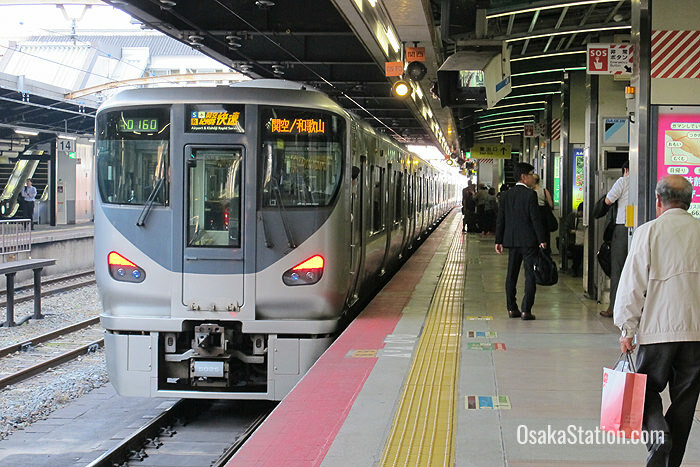 Although this line does not extend to Osaka Station, the Kishuji Rapid Service runs along the Osaka Loop Line before joining the Hanwa Line and so provides a direct link between Osaka Station and Wakayama Station. 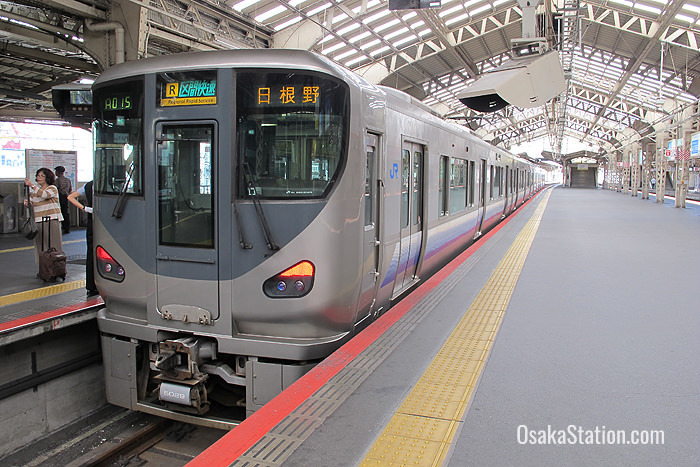 In this article we will look at the key destinations on the JR Hanwa Line and also take a detailed look at the Kishuji Rapid Service. Both the JR Hanwa Line and the Kishuji Rapid Service are fully covered by the Japan Rail Pass. There are 35 stations on the JR Hanwa Line. The key destinations and transfer points are given below with train times and fares given from Tennoji Station. Tennoji Station is convenient for Shitennoji Temple, (Japan’s oldest Buddhist temple), Tennoji Park, Tennoji Zoo and Osaka Municipal Museum of Fine Art. The station can be accessed by the Osaka Loop Line, the JR Yamatoji Line, and Osaka Municipal Subway’s Tanimachi and Midosuji Lines. There are two more stations nearby: Tennoji-Ekimae Station on the tramway Hankai Uemachi Line and Osaka Abenobashi Station on the Kintetsu Minami-Osaka Line. Exit here for Nagai Botanical Garden. Transfer here to the Midosuji Subway Line. Transfer here to the Nankai Koya Line. This station in the city of Sakai, is convenient for the Nintoku-ryo (Tomb of Emperor Nintoku) a keyhole shaped tumulus which is one of the three largest tombs in the world. Train time: 16 minutes. 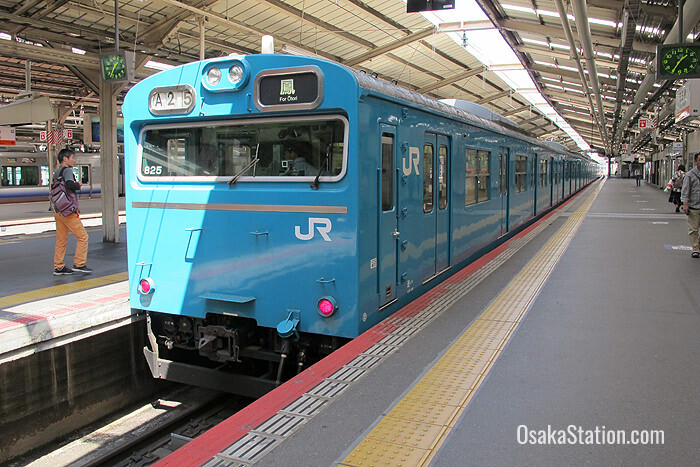 Take the Rapid train to Mikunigaoka Station then transfer to a Local train. Otori Station in the Nishi Ward of the city of Sakai is convenient for Otori Taisha Shrine, an ancient shrine complex which is famous for its iris garden. Transfer here to the Hagoromo Branch Line for Higashi-Hagoromo Station. This is the transfer station for the Kansai Airport Line. The Kansai Airport Rapid Service separates from the Kishuji Rapid Service here (see below). Wakayama Station is the southern terminus of the Hanwa Line. Transfer here to the Kisei Main Line, Wakayama Line and Kishigawa Line. Some trains do not stop at the stations in brackets. At Osaka Station the Kishuji Rapid Service departs from Platform 1. From Osaka Station the train takes 90 minutes to reach Wakayama Station for a fare of 1,240 yen. It is important to note that the carriages of the Kishuji Rapid Service are coupled with the Kansai Airport Rapid Service until the train reaches Hineno Station. At Hineno Station the two halves of the train separate, with the Kansai Airport Rapid Service moving on to the Kansai Airport Line and the Kishuji Rapid Service continuing on the Hanwa Line. If you board the train before Hineno Station it is important to board the right part of the train so that you don’t go to Kansai Airport by mistake! Be sure that you board one of the rear four carriages as these will go to Wakayama Station.